How do you give children the opportunity to take control of their own learning journey? And more importantly, how can you play a part in ensuring that they’re able to keep moving forward? It’s so easy at home to fall into the routine day to day, the rhythms of the week create a certain amount of security and comfort for young children. 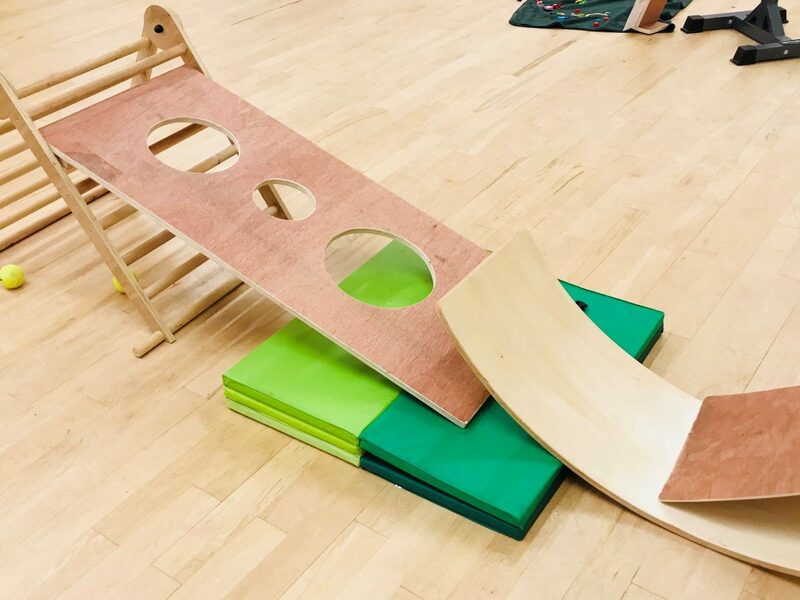 So what happens when we want to start introducing activities which we know will be fun, giving the child extra depth to their play but with a secret educational element, does your little push back and resist? If you have a preschooler, it might be that they’re happy just playing with their usual toys, deep into a flow which they perhaps don’t want to break. For school children it might be they’re so overloaded from a day at school they just don’t want any more “organised” activities. I’m a firm believer in giving children autonomy in their learning journey, they have the choices and they have the reigns as to how and what they want (and are ready) to learn. However…. I also believe in the Vygotsky theory of education; the Zone of Proximal Development. The ZPD is essentially saying that if a child were to continue their learning trajectory with no intervention, their learning would not reflect their abilities and stage of development. With carefully thought out small advances from a parent or teacher, the child will continue to progress and learn new subjects and topics which are slightly out of their current learning ability. Basically being able to assess where your little ones needs are in the present and how to give them activities which are just a step more advanced. That balance between a step and a leap is something you’ll get to learn in time and with practise. As a parent and teacher, I would be looking for signs to see where my little is currently happy playing. Then I would begin to introduce activities which are slightly out of their current ability. For example, my son is able to pick up two blocks and hold them together. He’s not quite ready to “build” a tower from the floor. I show him how I put a block down first, take a second and place it on top. He tries, he fails, he tries again and fails. He’ll do this over and over for the next 5 minutes until, he finds the key, a slightly softer hand, slows down and carefully places the block onto the other…. it’s not perfect, it stays for a moment then wobbles off, but he understood what was needed. He might not be able to fully accomplish building for weeks yet but he’s building (!) the framework he needs now. So, my #steammsunday tip this week. So as not to overwhelm or disrupt your little one from their current learning objectives, formulate a plan! – Firstly collate 3-5 activities which you really think your little one would enjoy. – Then together (this really is the key) with your little, have them pick 1-3 of the activities which THEY would like to do during the week. When you collate the activities yourself, have no expectations about which you WILL do. Having the intention is the first step here. By giving your little the control over what they’d like to do really builds their confidence and trust in you. Becoming Learning Buddies is the goal here. Long term the goal is when you’re able to suggest activities which will be greatly received. But that takes time. Here’s the final thought though, what happens when you don’t do all 1-3 of the activities you’d planned? Well, that’s over to you. If your week ran away with you and you genuinely didn’t have chance, that’s OK! Give yourself a break, you’re a parent and that’s a damn tough job. If you had the chance but didn’t take it, gently ask yourself why. What was stopping you? And be honest with yourself. Was it the mess, was it the energy, did you lose confidence in the activity? Try not to dwell too much, just roll it onto the following week and try again. Let me know what you think, is there anything you struggle with or need more inspiration with? I’m here to help so get in touch.